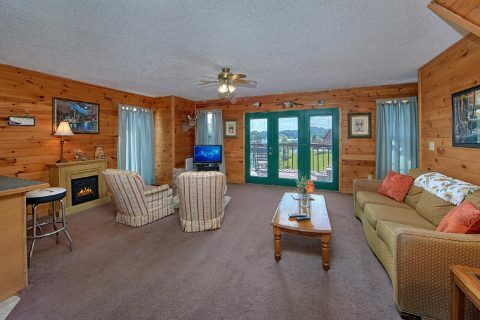 Welcome to "Ivey's Cove," a terrific cabin in Sevierville, TN with lake access at beautiful Douglas Lake! 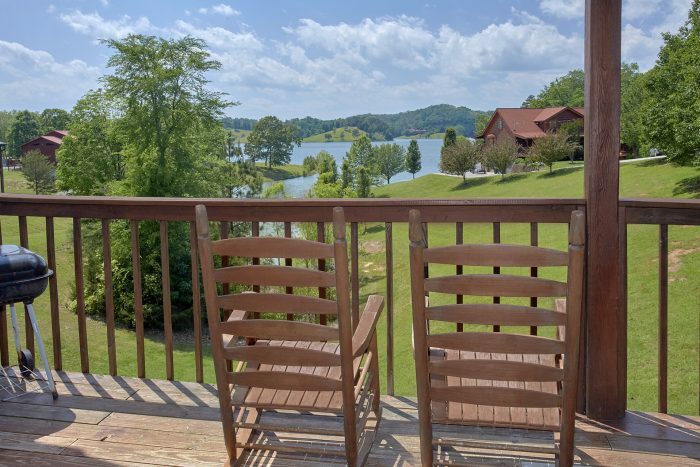 Not only does this rental offer seasonal access to the largest lake in the Smokies, but it also provides a floating dock that's perfect for fishing or swimming. 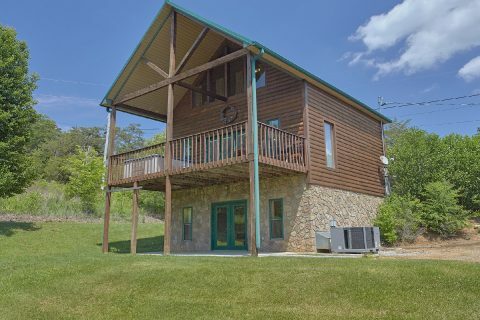 With 2 private bedrooms and room for up to 6 guests, this affordable cabin rental is just the right size for a small family or a fun getaway with friends. 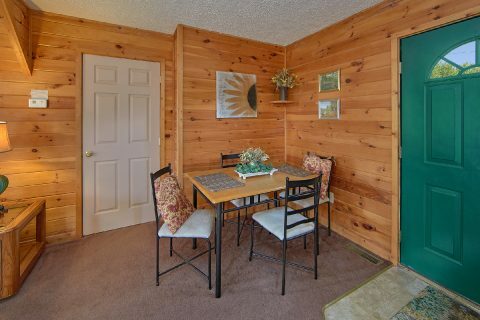 Step inside this cabin's main level and you'll find a welcoming open space with a living room, kitchen, and dining area. 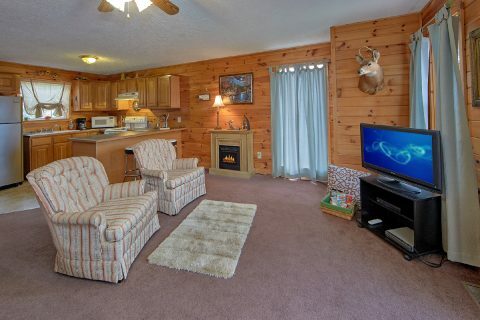 The living area comes complete with a flat-screen television and an electric fireplace, so it's perfect for spending quality time with good company. 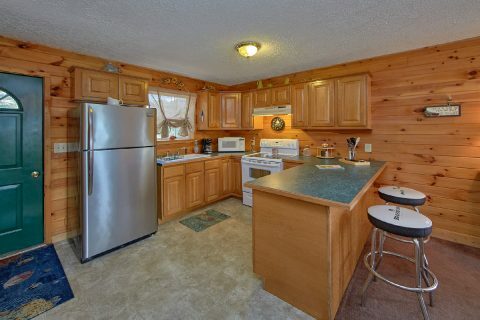 Additionally, from here you can step outside onto your cabin's deck with chairs and a lakeside view. 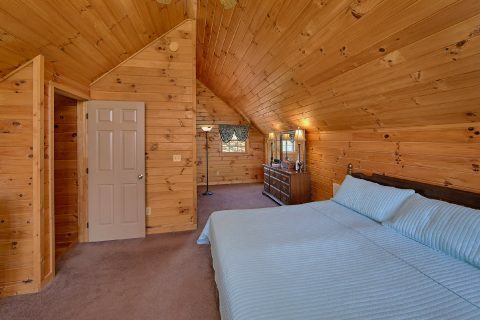 This level also provides a king-size bedroom that boasts with a television and full bathroom. 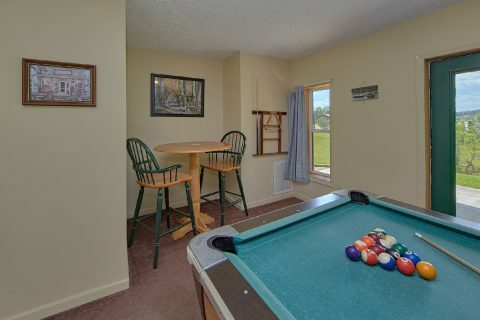 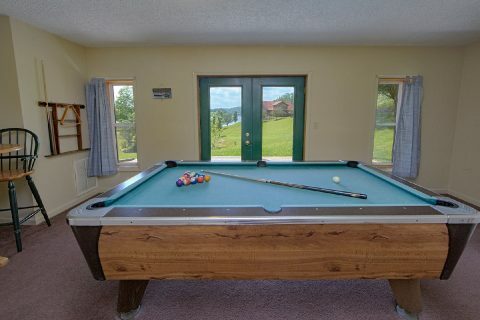 For some fun and entertainment, head downstairs to the lower level game area complete with a pool table. 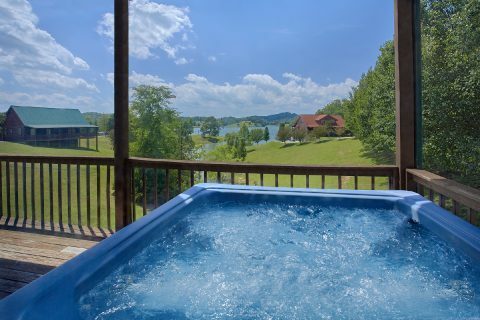 This floor also provides access to a lower level deck with a hot tub and more views of the lake. 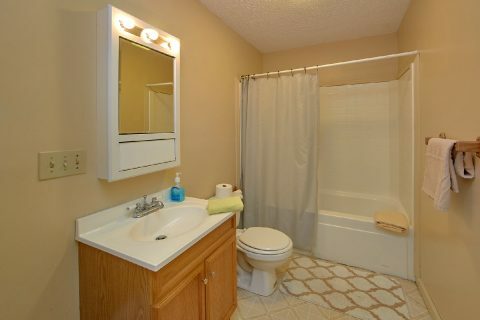 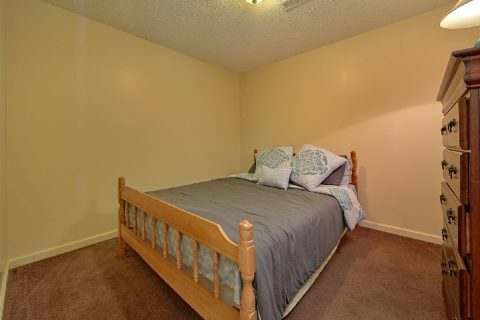 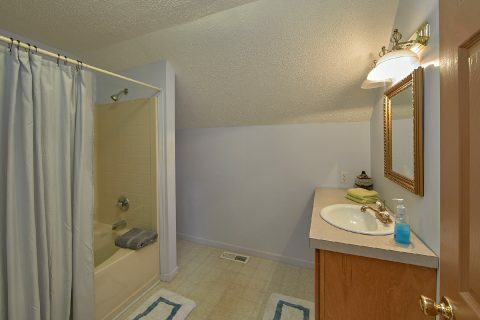 Additionally, you'll find a queen-sized bedroom on this level with a full bath. 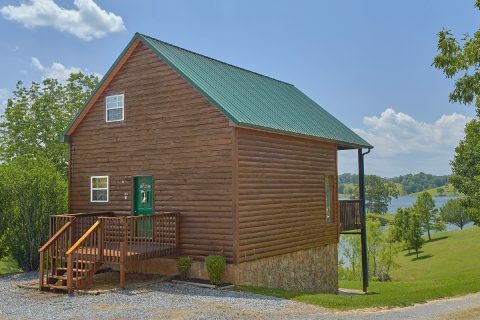 This cabin rental also provides practical amenities like a washer/dryer for guests to use during their stay. 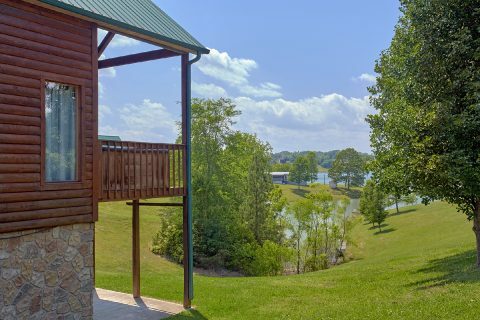 Last, but not least, "Ivey's Cove" also comes complete with a fire pit in the yard and a charcoal grill, so you can enjoy relaxing evenings under the stars by the fireside. 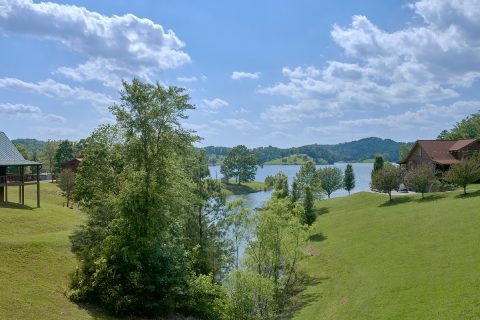 With a prime location that's only a short drive from Pigeon Forge, Sevierville, and Dollywood, you'll have no shortage of exciting things to do and see during your stay! 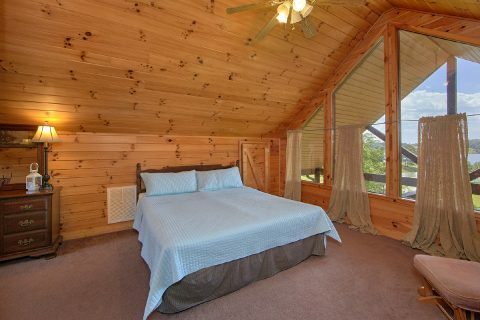 On the other hand, this cabin rental keeps you in a peaceful area that's perfect for unwinding by the waterside. Book your Sevierville cabin with a dock on Lake Douglas today to save 15% on your nightly rate with Cabins USA in the Smoky Mountains!